with the needs of your piano. Here at The Piano Place, we are dedicated to providing quality and dependable piano services. We provide our services throughout the Brazos Valley and the surrounding areas. The Piano Place provides a full range of piano services. We are happy to provide tuning services throughout the Brazos Valley area. We are trained in all aspects of piano repair and most can be done on site. The Piano Place prides itself on providing quality transportation for moving your instrument. 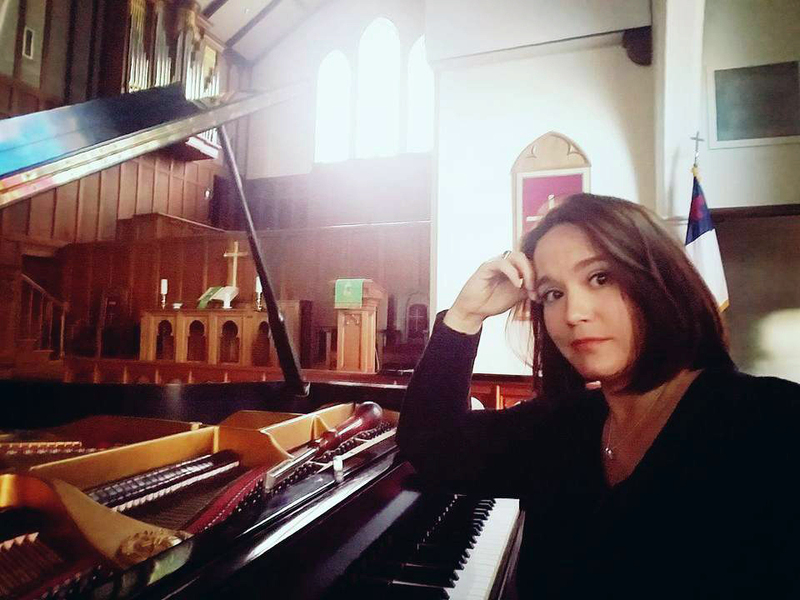 Samantha Evans has been providing piano services in the Brazos Valley area since 2007. A life-long musician who grew up in Giddings, Samantha earned her Bachelors Degree in Music from Texas Lutheran University in Seguin, Texas. Confused about what a tuning includes? Need to know how often to tune your piano? What is a pitch raise? What does it take to move a piano safely? We are a professional piano shop providing a wide range of services on site for our customers. Whether you are looking for an appraisal, tuning, repair or moving, just contact us and we will bring your piano back to life or safely move it to its new home. If major repairs and storage are needed, we can provide those services at our shop in Caldwell, Texas. We are so happy to have comments from our customers! The Piano Place has long provided the Brazos Valley with quality piano services. Contact us today and Hear the Difference.